The British model has been seen multiple times rocking a metallic pleated midi skirt, influencing the look of the week. 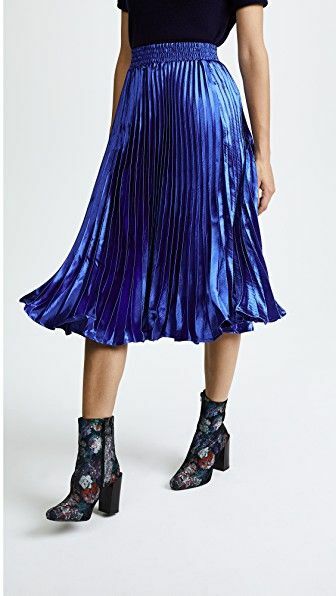 I found the same style skirt from Shopbop, called the “Metallic Satin Pleated Skirt” by English Factory available in sapphire and gold for $100.00. 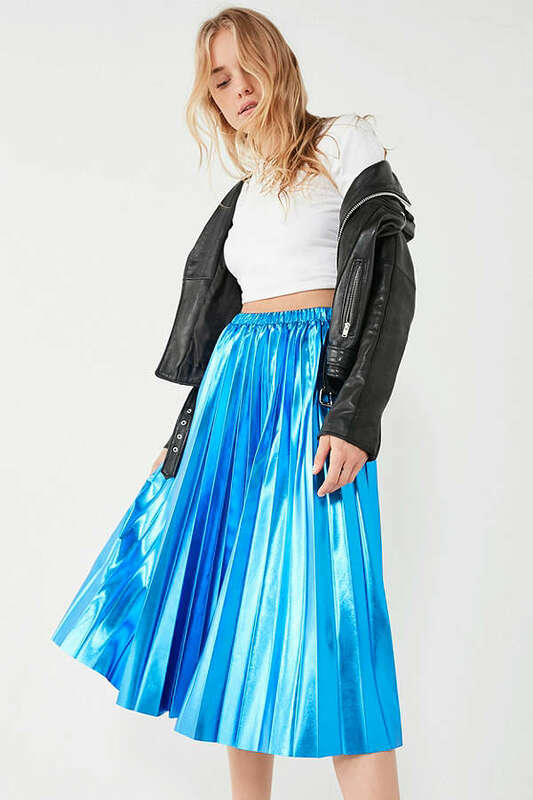 If you’re looking for a more affordable option, Urban Outfitters sells the “UO Metallic Pleated Midi skirt” in silver and blue for $49.00. As for her top, I recommend finding your fav sweater on Revolve. 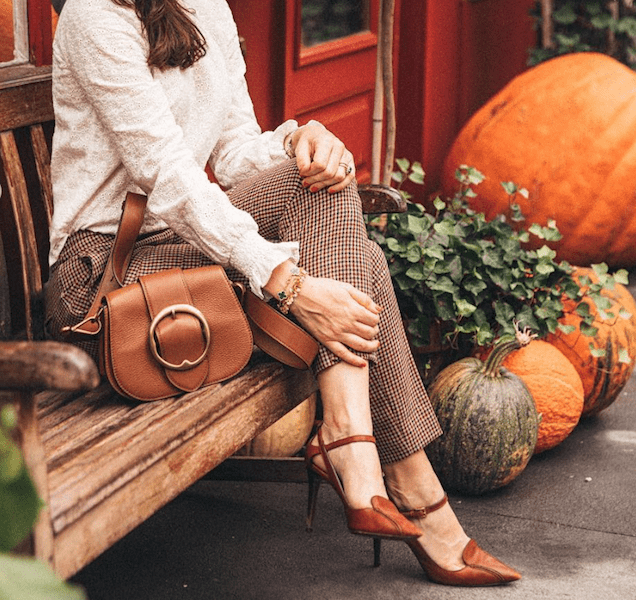 Perfect timing—Revolve just updated the website with an entire collection under “Sweater Weather.” For more style inspo, check back next week!